​ Big or small we clean them all. 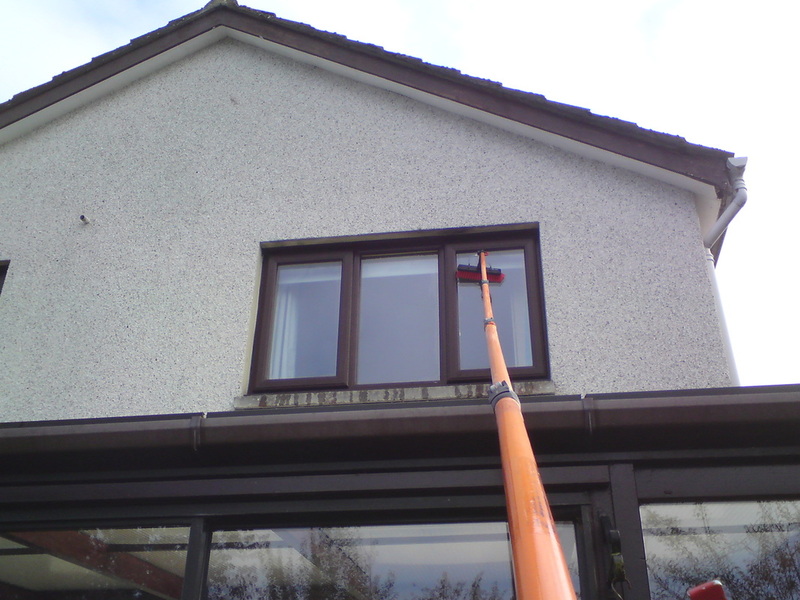 Here at Vista we aim to offer a professional, polite, reliable and affordable domestic & commercial window cleaning service throughout Dumfries & Galloway , totally dedicated to customer satisfaction. 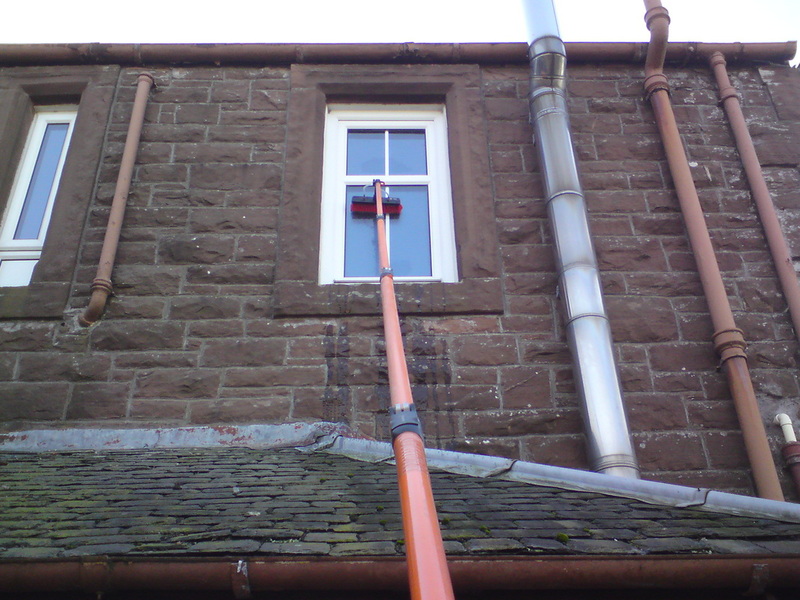 We combine the use of high access water fed pole systems for exterior cleaning up to 35 ft as well as conventional cleaning with a squeegee when appropriate.Many of our customers are also requesting internal cleans & we are also happy to provide this service for you. We can provide a regular 4 weekly service or rotation to meet your needs & payment methods to suit your requirements. or if you wish drop us an email. Reaching a high window above a single story extension.